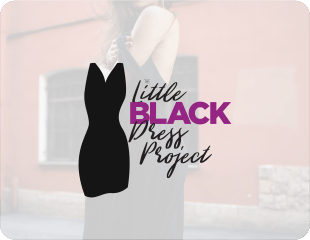 What is the Little Black Dress Project? I’ve put together this Transformative Fitness Program & Women’s Group to help you navigate the main holiday hurdles for staying healthy and even losing weight during the festivities (without giving up the foods you love). We all will face different obstacles at different times. The 1 thing that affects people the most during the holidays is overeating. In this fitness program and women’s group, we’ll help you to develop a plan to live the lifestyle which you get to enjoy the festivities and keep your health a priority (even lose weight!). Little Black Dress Project isn’t just a program. It’s literally a lifestyle master class and support system designed to teach and guide you through the holiday season with workout strategies to get your fitness in during the busy holiday season and nutrition strategies that help you to stay on track even with the typical obstacles. What’s important to note is that NO one woman’s lifestyle is the same as another. It will be up to you to take what you learn and apply it to your day, your schedule, your lifestyle and all the things that are unique to your circumstances throughout the season. I don’t do the strict or rigid style you’re used to in dieting and other quick fixes. Apply, learn and adjust as needed to live fit, lose weight and confidently rock it on New Year’s Eve. I’m also providing you with the accountability and support system you crave (no pun intended). This program is built on proven science as well as principles and strategies that I’ve effectively used with women during the holiday season. It’s broken down into simple, step-by-step lessons that allow you to walk through each weight loss secret and craving-crushing tip. You’ll get workouts, nutrition guides, and motivational solutions for overcoming the usual mind, body & lifestyle blocks as helpful tools, but I’m sure you’ll still have questions. As a matter of fact, you should. That’s why there is a Google Form to collect your questions in the moment and the Lady Leader Lifestyle Private FB Group (current and alumni clients and customers) to bounce questions and ideas off of. Also, there will be 3 Live Q & A calls periodically throughout (This schedule will be sent to you soon.) This is the best way to interact and engage with me directly. Unfortunately, I won’t always be able to engage in the group (but, I will as much as I can!) and that’s why it’s important to leave your questions on the form. I’ll be here to support you the whole time. See you inside! Request access to the Lady Leader Lifestyle Group. This is where you’ll receive periodic accountability checks from me, support from others and other coaching tips. Join the group HERE. Click “Introduction” below or in the right-hand sidebar to start your transformation.